September is National Suicide Prevention Awareness Month. It’s an important time to talk about a topic that continues to affect many facing stigma in different forms from society. Khensani Maseko, a 23-year-old South African student who was raped by her boyfriend in May 2018 had to while dealing with the stigma attached with being raped sunk into depression. At the beginning of the summer of 2018, she began posting her suicidal thoughts on her Instagram page and her final message included her birthday and her death day before committing suicide later that day. In another instance, a Nigerian Doctor, Dr. Allwell Orji on his way back from work received a call and immediately told his driver to stop the car while on the third mainland bridge and jumped off into the Lagos lagoon. A Kenyan couple was found dangling, lifeless from the roof of their house by a brother to the husband. According to the brother of the deceased, his sibling had called him earlier asking for help after he found his wife had committed suicide. Shockingly, when he arrived at the home he found his brother also hanging next to his wife. To the surprise of many, the couple had left behind a note demanding that the family bury them in one grave. A Ghanian Kofi Emmanuel hanged himself reportedly after his wife left him. 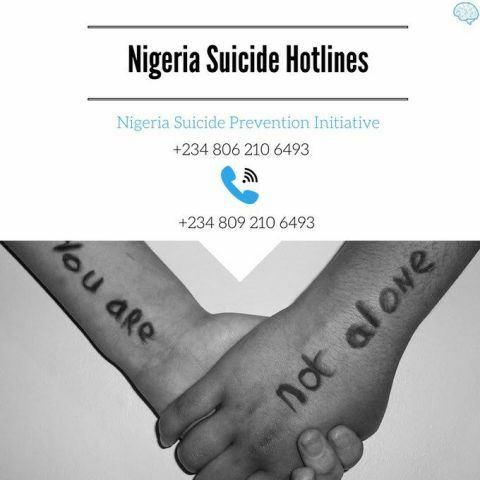 Suicide is a global issue which also affects our society and we should center more dialogue around acknowledging the issue and then taking steps appropriate for us to deal with it. Our generation gets traumatized for breakfast, logging in every morning to the toxicity of the internet weighing down on you, the rate of internet bullying is at its peak coupled with anxiety and depression amongst other variables can make the decision easier. Close to 800,000 people die due to suicide every year, which is one person every 40 seconds. So many more attempt suicide and a major fraction of people have suicidal thoughts daily. Suicide can occur anytime and at any point in life not forgetting to mention that it is the second leading cause of death among 15-29 year-olds globally. It’s all right to limit the time you spend online or in person engaged in these heavy discussions. What’s helped me is turning off all social media notifications. At times, I’ve even deleted apps I feel tempted to check when I’m in a vulnerable mindset. Temptation is very valid. It’s especially difficult to navigate when we aren’t feeling emotionally and mentally strong. But in everyday life, difficult topics can come up unexpectedly — at work, school, home, in public, etc. We can’t always effectively avoid triggers like we do with social media, where we can simply “mute” or “delete.” If you find yourself in a social situation that becomes too triggering or a conversation that becomes overwhelming, excuse yourself. Or change the topic if you’re in a situation you can’t pick up and leave. If you’re unable to stay off social media even when discussions regarding suicide are upsetting you, ask a friend to check in with you. Lean on a reliable and understanding person in your life. It can be easier said than done, but reaching out to someone you trust — whether a friend, family member, teacher, coach or professional — can help calm distress and initiate healing. Understand your feelings are valid. Oftentimes, our triggers are based upon a very real element, such as genetic makeup, emotional regulation, past experiences, ability to cope, or access to coping skills at the moment. Not everyone recognizes these factual pieces of mental health, but know there are people who do. Focus on the people who get it. Triggers, especially in terms of trauma responses, are valid. Sometimes, even when we can effectively remove ourselves from a triggering conversation, our emotional intensity can still be very high. This makes sense. To bring down the intensity of distress, practice some self-care. For example, to alleviate high levels of distress, I often use skills that work to change my body’s chemistry at that moment. If you feel panicky, for instance, maybe your heart is racing. To slow down heart rate, you could practice paced breathing, drink cold water, and grab an ice pack to place on your chest or arms. Think if a close friend were struggling with triggers. What would you tell them? How would you talk to them? If my best friend were tempted to join in on a conversation they knew could trigger them, I’d tell them it’s OK to take a break. I’d also tell them this topic isn’t that urgent. The discussion will be there tomorrow, or when they’re able to effectively navigate the conversation without spiraling. I’d also be gentle and kind to my friend if they were struggling especially. They deserve to feel better. If your best friend deserves to feel better, maybe turning some of that kindness on yourself is OK, too. You’re allowed to treat yourself with the same understanding and support you’d share with your best friend. Remember this month and every month: You’re not weak to struggle. Ultimately, you’re stronger to recognize, validate, and soothe yourself when you feel triggered. Triggers can always arise. So we must always remember we have the strength within to ride the wave of emotions and take good care of ourselves.